Spectacular Views from Every Window! Prime Location just off Monument Square! 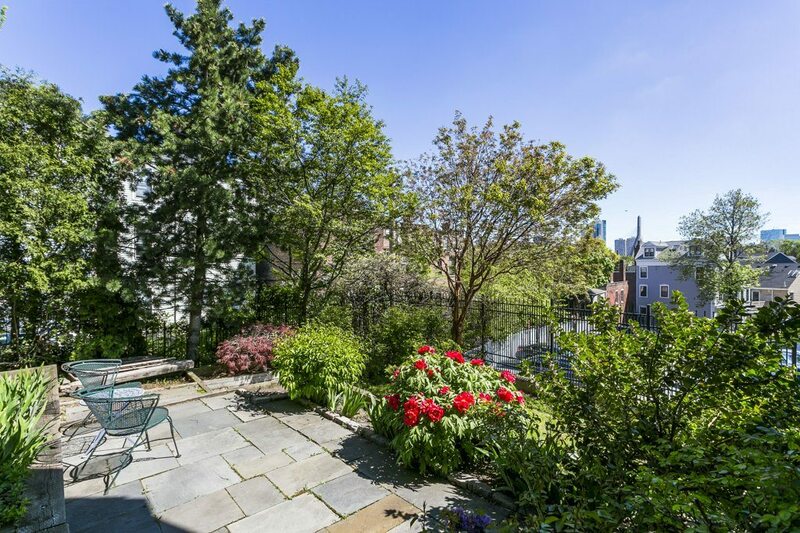 Striking Private entrance 2 Bedroom Townhouse w/ Parking, Huge Landscaped Yard & the Most Amazing Private Roofdeck in all of Boston! Brilliant Sunshine w/ East to West Southern Exposure! Breathtaking Views of Everything – the Boston skyline and Zakim bridge and beyond! Tranquil garden & blue-stone patio in two-tiered yard! Loft Like w/ Towering 14 foot ceilings! Over 1500 SF! Huge, Wide Open Living, Dining & Chef’s Dream Kitchen w/ an abundance of custom cabinetry & breakfast peninsula! Granite counters, Fishel & Paykel double dishwasher & Dacor oven & range! Master Bedroom w/ Custom Closets! Multi-purpose 2nd Bedroom w/ built-in Murphy bed! Gleaming Wood Floors throughout the main living & wool carpeted bedrooms! Private in-unit storage! A Superior home with every amenity you could desire including parking in one of Charlestown’s most sought after neighborhoods! Don’t miss this Outstanding Opportunity!